A few months ago, I wondered out loud if Twitter was missing the boat by not charging for its custom emojis. I mean, brands want to spend money on ads. I bet they’re salivating over having their own custom emoji on the platform. Wonder no more. Coke has gotten its own custom emoji (previously called hashflags), the company shared with me last night. 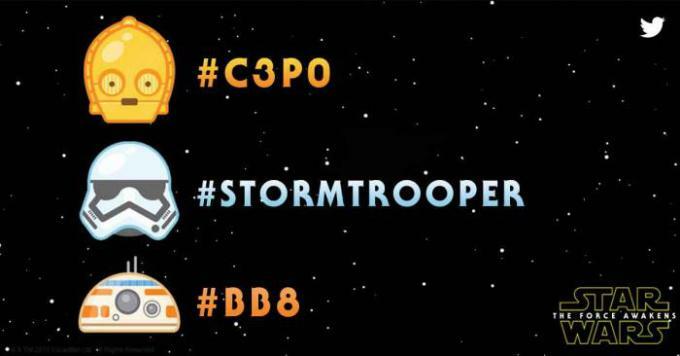 Until now, Twitter has only introduced these custom emojis for special events, and most recently to promote the upcoming “Star Wars” movie and the VMAs. That wasn’t part of an ad deal or bigger partnership like this, though. TC: Whose idea was it for the emoji/hashtag campaign? RH: Coca-Cola is a massive global partner of Twitter and they have been pushing us for some time on building a custom emoji (along with the creative agency of W+K). We know that people love using emojis and usage has been significantly increasing over time on our platform. This was a perfect opportunity to work with a nimble and smart marketer to make this happen. TC: How did the two companies collaborate on its creation? RH: Twitter’s Brand Strategy team, Coca-Cola and W+K worked together on design, creation and strategy on launching this the emoji around the world. We have been working with Coca-Cola for years and this muscle memory in terms of relationships, brand positioning and KPIs allows us to move quickly on something of this scale. TC: Is this considered as an “ad unit”, meaning is Coke paying for this? RH: Part of our global alignment with Coca-Cola includes access to resources and first to market offerings and in this case, a custom emoji. TC: Are you planning on turning this into an ad product or offering it to others after this trial? RH: One of our core values at Twitter is #ShipIt. We want to test things and Coca-Cola was the right partner to test with here. We have established trust over the years and we are excited about the learnings we will get from this initiative. The data we get back will help determine the future on what we do with this as a product. TC: What metric of success, other than total tweets, are you looking for here? RH: We can’t speak for what Coca-Cola key metrics are, but what we generally think about for large campaigns like this are engagement, sentiment, adoption of the hashtag/emoji and total reach. While Twitter wouldn’t share how much they were making off of this deal, it’s a pretty unique possibility for advertisers. I mean, who wouldn’t want their own custom emoji? It’s a hip ad unit. Where’s the custom Starbucks one for my mornings? However, let’s hope this doesn’t end up like Myspace’s selling off of extra top friends spots as ad units, which was the service’s last hurrah for many.